I haven’t used this site for party political campaigning before, being somewhat of the opinion that ‘whoever you vote for, the government always wins’, but with the 2017 General Election, the UK is experiencing nothing short of a revolution and that’s pretty exciting stuff! The massive sea-change of support backing Jeremy Corbyn and the Labour Party has not been seen in British politics since 1945, the year that Clement Attlee’s Labour Party achieved a 12% swing against Winston Churchill’s Conservatives to gain a mandate for post-war reforms. These post-war reforms included the creation of the National Health Service, which guaranteed free health care for everyone. 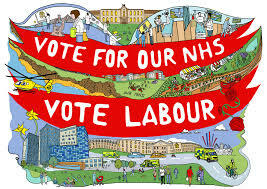 How fitting, then, that one of Corbyn’s strongest election pledges has been to reverse the privatisation of the NHS that has been accelerated under the present Tory government and is set, if they are elected, to continue under advice from the Naylor Review. It would be wrong to suggest that this revolution has been bloodless. The terror attacks perpetrated over the past year have left a nation stunned and heartbroken and in this, I include the murder of Jo Cox. While the mainstream media glossed over this latter atrocity as the actions of a single lunatic, other murders have been railed against with the shrill indignancy of a country whose values are under siege. But the truth is, our shared values have been under attack from within, from cynical, greedy and violently racist political leaders and these murders are being used to justify the erosion of our human rights. Living in the Future is not an overtly political project, but the values which underpin ideas of community and environmental care are undoubtedly left wing. What’s more, Living in the Future was born out of Undercurrents – a not-for-profit organisation which rose out of the public unrest under Margaret Thatcher’s Conservative policies. At that time, it was the protests against road building and the poll tax which were ignored by right wing media. Now it is the left wing opposition itself which has been ignored. 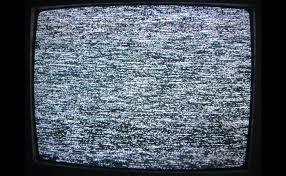 As Gill Scott-Heron predicted, the revolution is not being televised. As a student and teacher of media studies, I have spent a lifetime arguing that there is no such thing as objectivity. That the ideologies drummed into us at home and school, by he church and other influencers, seep into our words and actions, not least as journalists. But the deliberate slanting of mainstream journalism against policies of peace and social care as put forward by Jeremy Corbyn has been nothing short of lying. And not only by the right wing tabloids, but disappointingly, by the so-called left wing Guardian newspaper as well. In a society where the gap between rich and poor is propped up by Conservative policies, with tax cuts for the wealthy and companies evading payments though they benefit both from the people and the infrastructure of the country, it’s not hard to see why a vote for the Tories is a vote to maintain the status quo. And at a time when depression, mental illness and loneliness spread like epidemics in our world. At a time when the earth needs us to stop pillaging her bounty and start giving back, at a time when climate change threatens our very survival on this planet, we can no longer afford to appease the rich. We can no longer allow hate and division to prevail. We have to find a way to work together. In our most recent film, Deep Listening, we explore how intentional communities, in harmony with ancient aboriginal ways, practice a quiet way of being with themselves, with the land, and with each other. This way involves us hearing the profound messages needed for healing. Healing of ourselves, of the earth and of our communities. It’s not a coincidence that Jeremy Corbyn, his values and principles miraculously intact after many years in politics, expounds these very practices and aims to bring them into his government. If ever we needed someone who understand how to listen, we need it now. 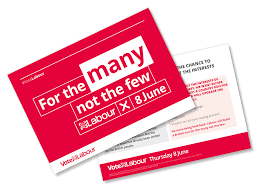 It won’t solve everything, of course, our system is undoubtedly broken and needs urgent attention, but if you are in the UK, it’s time to perform an act of revolution and to vote Labour on June 9th. Thanks to Steve Coogan for clarifying the source of the Labour Party election slogan. In this poem, the poet Percy Bysshe Shelley is speaking about non-violent direct action. (Shelley’s poetry sometimes had only an underground readership during his day, but his poetic achievements are widely recognized today, and his advanced political and social thought impacted the Chartist and other movements in England, and reach down to the present day. Shelley’s theories of economics and morality, for example, had a profound influence on Karl Marx; his early—perhaps first—writings on nonviolent resistance influenced both Leo Tolstoy and Mahatma Gandhi.) Wikipedia.